Can I Qualify in Bellevue? Anybody can file a bankruptcy. The question is usually what kind of bankruptcy is best for you. Even undocumented workers can file bankruptcy and get a discharge. Of course, there are limits to how many you can file. You can only file and receive a discharge in a Chapter 7 every seven years. If you have filed a Chapter 7 and received a discharge in the past four years, you have to file a Chapter 13 to get a discharge. Businesses can file bankruptcy too, though a business can not get a discharge in a Chapter 7. A business that closes and liquidates is dead anyway so there is no need for a discharge. 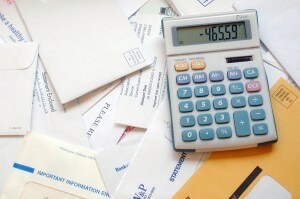 If a debtor is personally liable for business debt, they must file a personal bankruptcy. To get a discharge, a business must file a Chapter 11. Before filing a bankruptcy, a debtor must take a credit counseling class within 6 months of the case being filed. The case will be dismissed if this class is not taken. The class only lasts a couple of hours and can be done on line. Debtors who file bankruptcy must submit detailed financial information to the court. This information must be accurate. If a debtor lies, they could be guilty of bankruptcy fraud. If the debtor refuses to give information they must provide to the court, the case can be dismissed. The debtor must also attend all necessary hearings to complete the case. To get a discharge, the debtor must take a second class called a financial responsibility class, within 45 days of their meeting of creditors. If this class is not taken, the case closes without discharge. A Chapter 7 debtor must submit to a means test to show they are not abusing the bankruptcy system. This means test measures their last six months of income and deducts expenses from it so show that there is no money to pay creditors in the case. If the means test shows there is income, the Chapter 7 debtor can be found to be abusing the bankruptcy system. In that case, a debtor may have to convert the case to Chapter 13 or the case will be dismissed. A debtor can rebut the presumption that they are abusing the bankruptcy system by showing that there are special circumstances in their case. Examples of special circumstances include a drastic drop in future earnings, uncommon expenses or new household members. Chapter 13 debtors must show that they are able to complete the plan. That means they must show they can afford to make the payments set out in the bankruptcy plan, which must include payment of mortgage arrears if they intend to keep a house, car payments if they intend to keep the car, recent back taxes, back child support or any payment needed to cover property they don’t want to lose in the plan. If they plan won’t cover these payments, it is deemed “unfeasible” and can be dismissed. There are debt limits to filing a Chapter 13 as well. These debt limits change but are just over a million dollars of secured debt or $350,000 in unsecured debt. If a debtor has more debt than this and cannot or does not want to file a Chapter 7, they must file a Chapter 11 bankruptcy.